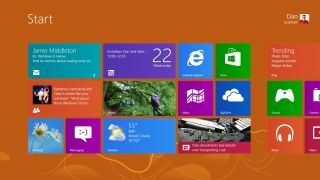 Microsoft has made significant changes to Windows 8 to make things a lot tougher for people hacking multiplayer games. People of DayZ and Battlefield 3 rejoice. And then start thinking about upgrading your gaming PC. Hacking is one of the things that has blighted the PC gaming landscape for the last few years, with terrible human beings taking pleasure in ruining other people's fun in return for a hollow 'win'. We recently become obsessed with the Arma 2 zombie apocalypse mod, DayZ, until that world became the victim of another, more human apocalypse - the hackers. The sad truth is that people will pay good money, sometimes $15 per month, in return for software that gave them an advantage in-game. Like a simple kill button, or omniscient vision. Talking with Francois Piednoel, Intel Principle Engineer, at a behind-closed-doors event with Microsoft's new operating system, he told us about some of the back end work that has gone into Windows 8. “In Windows 8 they've changed this mechanism, now memory allocation is random. Now if I guess, then I guess wrong 100% of the time. Now to hack, it is much harder. To us it seems crazy that when the likes of Gabe Newell are calling Windows 8 a catastrophe for PC gamers, Microsoft isn't standing up to fight it's corner. Instead we only hear it from Francois, who himself was asked not to really discuss any of the back end goodies by the big M.
“Microsoft, this time,” he explains, “is trying to do a consumer-friendly launch. They're not going to come at you with a lot technical details - while they have improved a lot - because that's not the topic of the launch. If this can heal some of the wounds created by the hacking community in the multiplayer gaming sphere then that can only be a good thing. Though we're not naïve enough to think this will completely eradicate it - most hackers will just see this as yet another challenge - if it can make game hacking tougher we're behind it. And it gives a much more compelling reason for us PC gamers to start thinking about upgrading our OS when Windows 8 does finally land.